Articles How Old Is My Cat? For years, pet owner have been led to believe the way to figure out how old our cats or dogs were in "human" years was that "one year equals seven 'human' years". This way of calculating the age of a dog relative to humans has never really worked well. This is because there is such a large range in the comparative sizes and body types among the various breeds (the lifespan for a Great Dane is much less than that of a Yorkshire terrier). Cats, on the other hand, age at a more predictable and consistent rate. 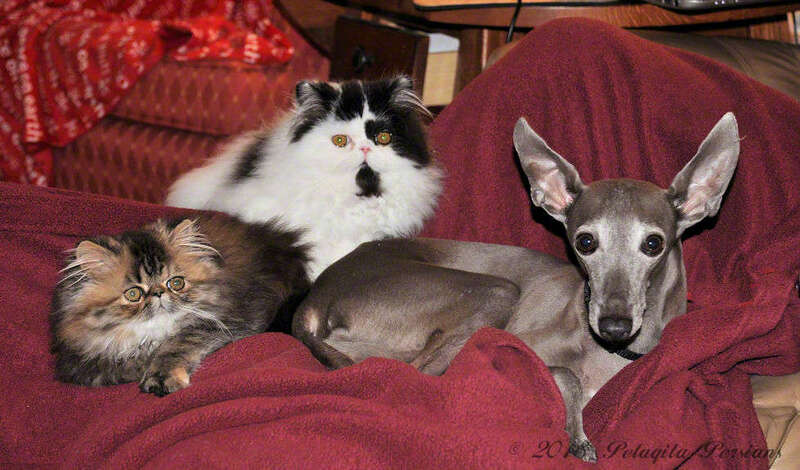 Simply put, the many different breeds of cats do not exhibit the range of size and body types seen in dogs. The first year of life takes the cat from birth to late adolescence and the second year brings it into young adulthood. At two years of age, the young cat is approximately 24 years old in "human" years. It is at this point the calculation changes to approximately four human years for every one cat year beyond the age of two. For example: a four-year-old cat equals 32 years old; a nine-year-old cat is about 52 years, and 16 year old cat is about 80 years old.